Like any myth, the green variety may sprout from kernels of truth. More often, they are based on false or outdated information. Below, we take aim at several common myths that we've come across. We'll tackle some more in a future edition of Living Green 365. 1. Water-efficient toilets don’t work. Before 1994, toilets used 3.5 or more gallons/water/flush. To meet 1992 energy/water-efficiency standards, U.S. manufacturers tried adapting old toilet technology to work with less water (1.6 gallons). Bad idea, as they found out. These first generation low-flow toilets had major performance issues. Technology improved, and so did toilet performance. 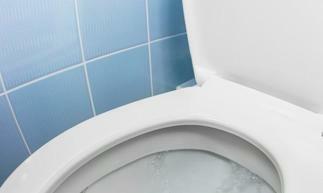 Modern high-efficiency toilets flush like they’re supposed to and can save a lot of water. Look for toilets with the EPA WaterSense label. They’ve met stringent federal standards for water-efficiency AND performance. 2. Washing dishes by hand saves water & energy. When it comes to energy & water use, dishwashers just keep getting better and better. New Energy Star- qualified models use half the energy of hand-washing and a fraction of the water. Oh, and don’t pre-rinse dishes before putting them in the dishwasher. It’s an unnecessary waste of water and energy. Scraping or wiping them first suffices. Turn off the monitor if you aren't going to use your PC for more than 20 minutes. Turn off both the CPU and monitor if you're not going to use your PC for more than 2 hours. 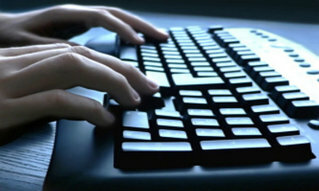 To cut down on energy vampires and save money, unplug your laptop once it's fully charged. Likewise for similar electronic gadgets, like cell phones. 4. Minnesota has plenty of water, so we don’t need to conserve. Minnesota may be the land of 10,000+ lakes, but our clean, drinkable water supplies are limited. Three out of four state residents rely on groundwater for drinking water. Unlike surface waters like rivers, lakes and streams, groundwater can take a very long time to recharge. As population and water demands have gone up, groundwater levels have declined. Add in the growing problem of groundwater contamination, and the prognosis turns downright grim. The bottom line on groundwater? We can run out of it. Water conservation is more important now than ever. There’s a lot you can do at home, work, and school to help! Fix that leaky faucet, showerhead, or toilet. Cutback or even eliminate lawn watering. Replace water-hogging appliances and fixtures with water-efficient ones. For more water-saving ideas, click here. 5. It’s better for the environment to wash your car by hand than at the car wash. Not so, reports the International Car Wash Association and the LA Times, among others. 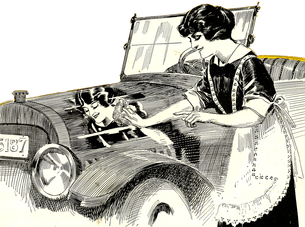 For many do-it-yourselfers, washing a car by hand means using a steady stream of water. This approach can use 100 or more gallons of water verses 15-75 used by many commercial car washes. Carwash businesses are required to send their dirty wash water to municipal wastewater plants for treatment. Some businesses reclaim it for reuse onsite. Water and contaminants from home vehicle washing, on the other hand, typically drain to stormwater sewers and right into rivers and other surface waters, where they pollute. If you’re committed to washing your car at home, use eco-friendly car washing strategies. Otherwise, consider taking it to a commercial carwash. 6. Products labeled as “natural”, “eco-friendly”, or “green” are better for the environment. These types of labels have one thing in common: they're meaningless. They're ambiguous terms sometimes used by marketers to appeal to consumers shopping for environmentally preferable or healthy products. They can lead consumers to think products are greener or healthier than they really are. Familiarize yourself before shopping with information on what to look for and how to differentiate greenwashed products from legitimate ones. For guidance, see Greenwashing: Do You Know What You’re Buying? 7. Environmentally, paper bags are better than plastic. Conventional wisdom has led many to believe that paper is a more natural product than plastic, thus making it the better choice for the environment. In truth, things are a lot more complicated. Both paper and plastic have big environmental impacts during their life-cycles. As compared to plastic, paper production actually generates more greenhouse gasses and uses more energy and water, report several studies like this one. 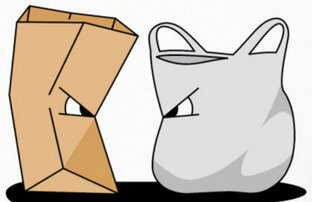 Unlike paper, most curbside collection programs don’t accept plastic bags, so the recycling rate for plastic is lower. Plastic bags are more likely to become litter, clog waterways, and pose a threat to marine animals. Hazardous chemicals are used to produce both paper and plastic bags. The best choice is to avoid disposable bags altogether. Opt instead for durable, reusable bags, preferably made from recycled materials. Minnesota GreenCorps host site applications.The Minnesota Pollution Control Agency is now accepting applications from organizations interested in hosting an AmeriCorps member for the 2017-2018 Minnesota GreenCorps program year. Eligible organizations include public entities (local, regional, state, tribal), school districts, not for profit institutions of higher education, and 501 (c)(3) nonprofit organizations. Applications from eligible organizations interested in hosting MN GreenCorps members are due by 5:00 pm CDT on Friday, March 17, 2017. Host site application materials, including a detailed guidance document and the application, are available on the Minnesota GreenCorps website. Please direct questions to mngreencorps.pca@state.mn.us. Readers write in. Living Green 365 reader Amber Haukedahl is on a quest to live a zero waste life. "I went to a community education class on how to do zero waste grocery shopping, and it totally expanded my mind about ways I can decrease my everyday household waste," said Amber. She added, "I have always thought I was very environmental, but even I have found many ways I could improve." As part of her journey, Amber developed a YouTube channel to educate others on the zero waste movement and to share her tips and tricks on how be be zero waste. Check out her videos on https://youtu.be/J9U8Da9OK3c. The Buzz on Bees (and other Pollinators): A Panel of Local Experts. Thursday, March 2, 6 p.m. to 7:30 p.m. Wedge Table, 2412 Nicollet Avenue, Minneapolis. FREE, no registration required. Pollinators’ habitats are being increasingly threatened by climate change and other factors. Hear from experts on issues around pollinators, efforts to preserve pollinators that are happening locally, and what you can do to help. For more information, click here. Sustainability Film Series: Catching the Sun. Thursday, March 2, 6:30 p.m. Bell Museum Auditorium, 10 Church St SE, Minneapolis, MN. FREE. Through the stories of workers and entrepreneurs in the U.S. and China, Catching the Sun captures the global race to lead the clean energy future. Details available here.